The opening weekend of the Premier League season saw much of the focus shared between both Manchester clubs and the signing of Robin Van Persie, but it was the forgotten man, Eden Hazard that took the individual spotlight of the press after his league debut against Wigan on Sunday. Eden Hazard, taking centre stage in Chelsea’s opening game this weekend, guided Chelsea to their first three points of the season, setting up Branislav Ivanovic for the opening goal, before showing great strength and close control to win a penalty, allowing Chelsea to take a commanding lead after seven minutes. 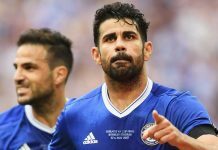 It’s strange, for a player who caused much fuss and envy earlier in the summer using his twitter account to announce his new club, most of the media drew the attention away from the 32 million pound signing, particularly after his Community Shield performance, with many forecasting the former Lille player to take a season to settle. Keeping in mind only one game has been played and there is still a long course to take this season, the very early signs from the creative midfielder and Chelsea as a whole has been impressive, albeit against relegation candidates. Hazard showed the pace and energy that is usually upheld by the traditional style of the English game, with clever flicks, decisive passing and a turn of pace that left his marker Ramis, looking rather foolish for vacating so much space in behind. Fans also got their first glimpse of the Mata/Hazard partnership in a competitive fixture. They both interchanged smoothly, taking turns to hold the right-hand side of the pitch, but there were some loose passes between them. A brighter point also indicates the possible fruition of the trio featuring Mata, Hazard and Oscar after the Brazilians introduction in the second half where he showed decent touches and great vision with quick passing. By his own admission, Hazard faded in the second half and lost possession more often than wished as the match unfolded, but that should improve as his match fitness improves along with the progress of the season. Greater challenges are ahead, with Reading and Newcastle in quick succession to provide a good marker as to how the team grows in the early stages of the season. The main concern against Wigan was the amount of width they were allowed to attack with, with 29 crosses, the most for any team over the weekend, reaching the penalty area. That said this feels like the early signs of a new team, with a new style and brand of football heading towards a good start. Next articleHome debuts for Hazard and Oscar?